The location of Villa Hiona is amazing. It is on the far end of the island so absolutely quiet and private, away from the noise of the centre. The balcony is stunning, right on top of the blue water of the harbour. Beautiful views.Beautifully decorated, good airconditioning, great wifi and wonderful hosts. Great stay and wonderful cleaning service thankyou! Villa Hiona lived up to all very high expectations. 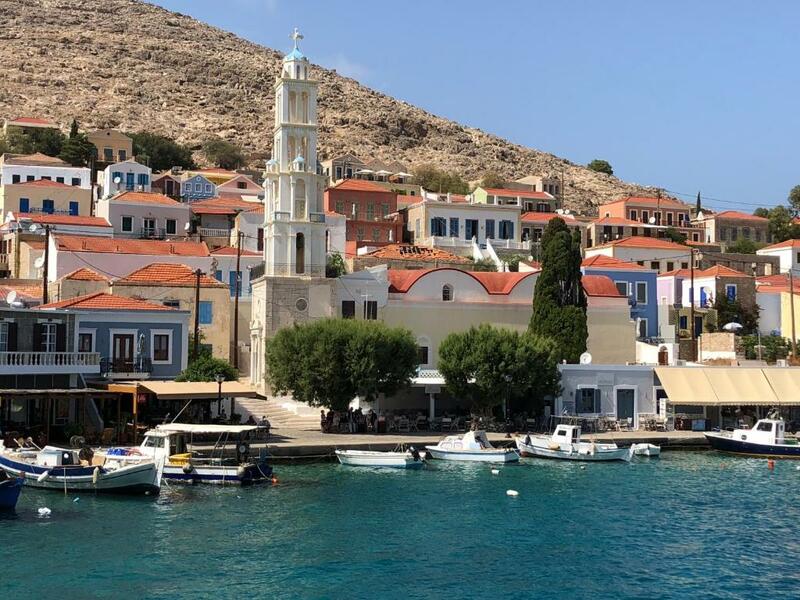 In the best location right on the sparkling silky Aegean. 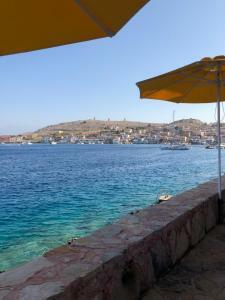 Close by and easily accessible to the small harbour. Studios are simply and tastefully furnished. Very clean and the housekeeper is a gem. The owner was so helpful in providing loads of information. Other guests super friendly. Ideal for total unwinding and relaxation. 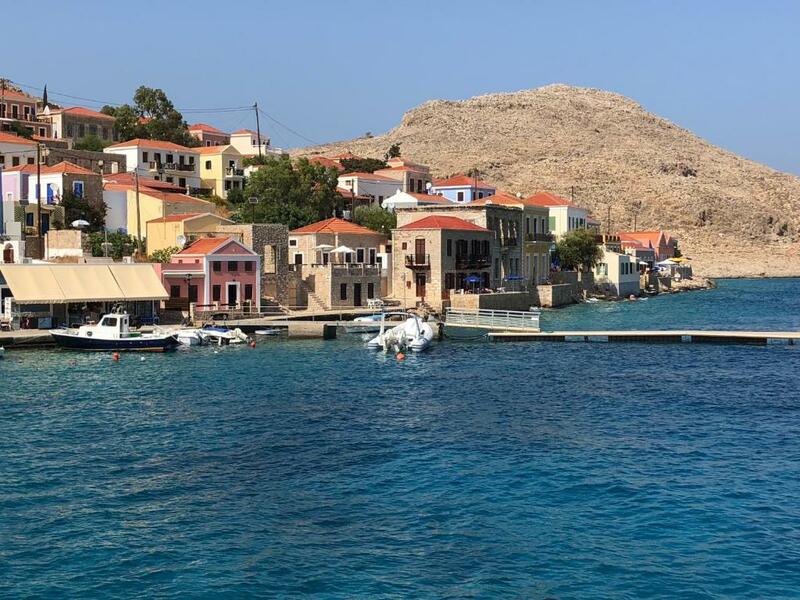 The island is safe and 'comfortable' for solo travellers. And the island cats are neutered, vaccinated, fed all year round, and happy! Do donate for their care when you see the collection boxes in some shops! Paradise on earth!Great experience!! We will be back! Room was great , big enought and comfortable.View was wonderful , you can swim when you wake up .sea is amazing . Απίθανη επιλογή, άριστη τοποθεσία, πολύ καλό service !!! Αυτό που επιθυμεί όποιος θέλει να ξεκουραστεί και να περάσει όμορφα. Η πρόσβαση στο κέντρο του νησιού είναι στα 5 λεπτά. Vacanza a 5 stelle. Tanto spazio, letti confortevolissimi, realtà superiore alle fotografie, quiete assoluta, con impossibilità di prenotazione per bambini e relax integrale. La posizione fantastica, la suddivisione degli ambienti, l'assoluto silenzio che permetteva di dormire col solo rumore del mare. Lock in a great price for Villa Hiona – rated 9.1 by recent guests! 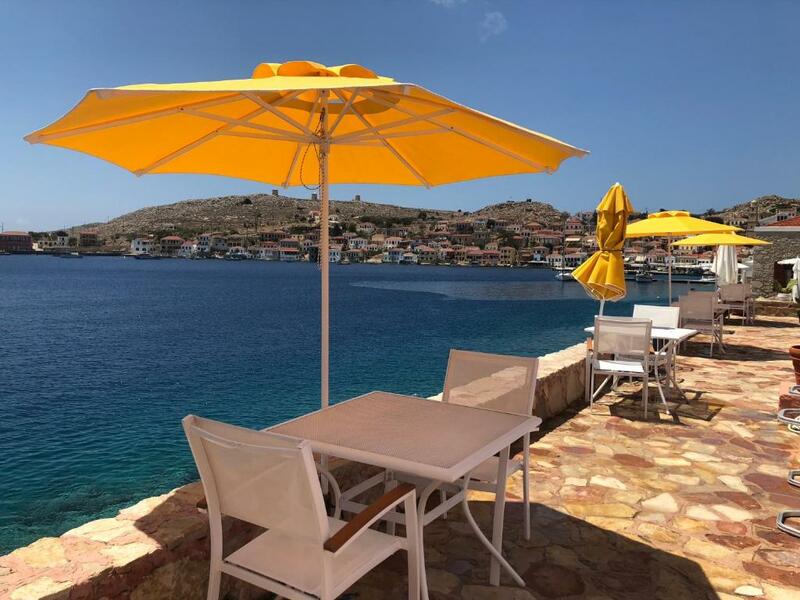 One of our top picks in Halki.Set right on the sea, the beachfront Villa Hiona is set in a traditional stone house on the picturesque Halki Harbor. 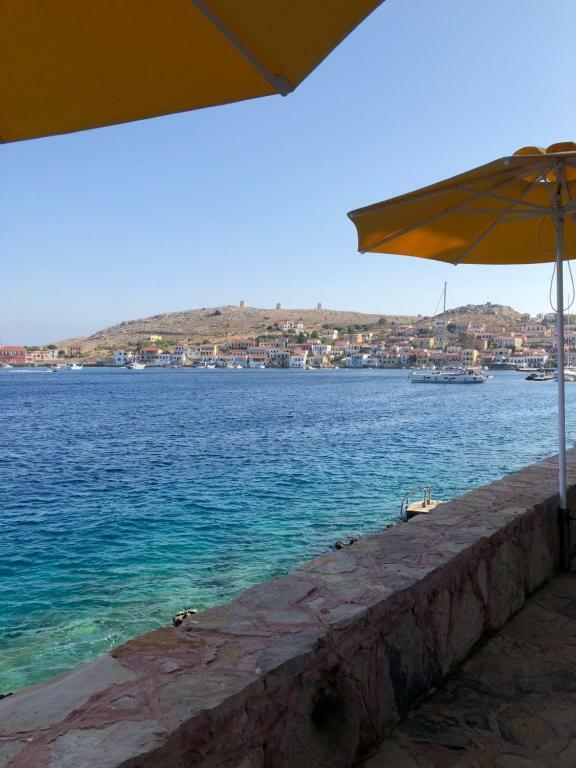 It features split-level studios with free Wi-Fi throughout and a shared balcony overlooking the Aegean Sea. Spacious and air conditioned, each accommodations enjoys a kitchenette with a kettle, fridge and electric oven. Fitted with whitewashed walls and tastefully decorated, it also includes a bathroom with shower. Villa Hiona is just a 5-minute walk from restaurants, cafés and shops, located in a quiet area on the edge of the town. When would you like to stay at Villa Hiona? Spacious and a loft bedroom, this studio features a shared balcony overlooking the Aegean Sea and furnished with a table, chairs and umbrella. It features a kitchenette with kettle, fridge and electric oven. Fitted with whitewashed walls, it includes a private bathroom with shower and free toiletries. Free WiFi is available. Please note that this room type cannot accommodate any extra beds and it comes with a wooden staircase which is not suitable for guests with mobility issues. Offering more space, this studio opens into a shared balcony overlooking the Aegean Sea and furnished with a table, chairs and umbrella. 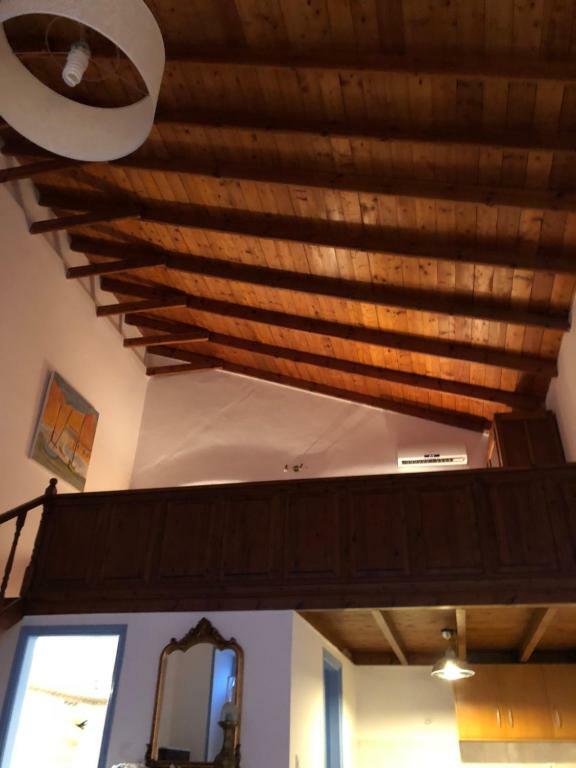 Boasting free WiFi, it has a loft bedroom, a kitchenette with kettle, fridge and electric oven. Fitted with whitewashed walls, it includes a private bathroom with shower and free toiletries. Please note that this room type cannot accommodate an extra bed and it comes with a wooden staircase which is not suitable for guests with mobility issues. House Rules Villa Hiona takes special requests – add in the next step! Villa Hiona accepts these cards and reserves the right to temporarily hold an amount prior to arrival. Please note that Villa Hiona is not suitable for guests with mobility issues. Please inform Villa Hiona of your expected arrival time in advance. You can use the Special Requests box when booking, or contact the property directly using the contact details in your confirmation. 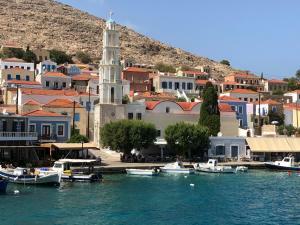 Please note that check-in and key collection take place at: Villa Hiona, Halki, Halki, Dodecanese 85110. The room was by the crystal clear water. Terasse furniture can be better. They should put a shower at the sea shore.next houses and hotels has it .